Google loves video! This statement is proven time and time again when video content is published on the various video sharing sites, such as YouTube.com, then the Google spiders pick up the video along with the keywords and rank the site high in the organic listings, sometimes on the first page. Network Pros has had much success in working with its clients in producing strategic videos based upon highly searched keywords and then publishing these videos to the many video sharing sites. The first part of the process is determining what are the most important keywords to your business and which ones are the most searched on Google. The next step is to outline a script based upon a well searched keyword and then film a 1-2 minute video. Some of our best work has been with A+ Conferencing. Do a search under these keywords and notice where the A+ videos are located in the organic side of Google. Some of the videos are labeled mikebaggie. The keywords are: mlm conferencing, attorney conferencing, religious conferencing, association conferencing, teleconferencing reseller and conference calling master agent. These keyword searches have led to hundreds of viewings and many sales in the conferencing space. Another example of excellent results with our video seo program is conferencebridges.com. We designed and filmed videos using these keywords: conference bridge maintenance, thinkengine conference bridge sales, conference bridge lease and maintain spectel conference bridge. You need to be in video! 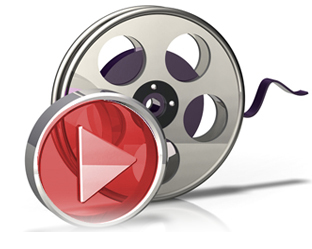 Let us prepare a proposal for your video seo program now and get your videos onto the first page of Google. Network Pros was able to develop our website and optimize it to where it is now ranked on the first page on some of our keywords for our business. The pros at NPI were very easy to work with and they displayed the ultimate in professionalism. I would use them again and I recommend them highly. I retained Network Pros to handle all of our conference calling. We have a lot of operator assisted conference calls that require much care in handling our clients. The staff at Network Pros does a great job of customer care and we are very pleased with the service and the price. We utilized Network Pros to find a long distance carrier that not only had quality service, but also a low price. NPI presented the alternatives and we tested each one of them out. The decision we made saved our company 35% or 48,000. annually on our telecom bill. If we have any disputes on the bills, Network Pros will go in on our behalf and get us credits. They are great. We bought a ThinkEngine conference bridge through Network Pros last year. After shopping the web, we came to three alternative companies and we chose Network Pros because of their expertise in conference bridging technology. Now that our warranty has expired, we are using NPI’s maintenance program. The technology works very well and we have experience almost no downtime on the system. Network Pros worked with our existing website to optimize its positioning within the search engines. They worked on the back links to our site from quality websites. They wrote articles, produced videos and introduced social networking to our site that helped get it ranked onto the first page of Google and Yahoo. They produced excellent results and still work on our website today. We have used Network Pros and their sister company, TeleSystems Marketing for their fundraising and fulfillment capabilities. Over the last ten years, Network Pros has helped us raise money via telemarketing and we use them for their billing and fulfillment technology to get the pledge packets out to the donors. Their copy writing on our appeals is some of the best in the business. They have my vote. For more information, please feel free to submit your contact information below.